It’s one of my favorite things. I love to laugh, and I love people who laugh…loudly, robustly, from all the way inside their souls. Yeah. That’s the right way to laugh. Yesterday I had the opportunity to laugh, and boy, it was abundant. 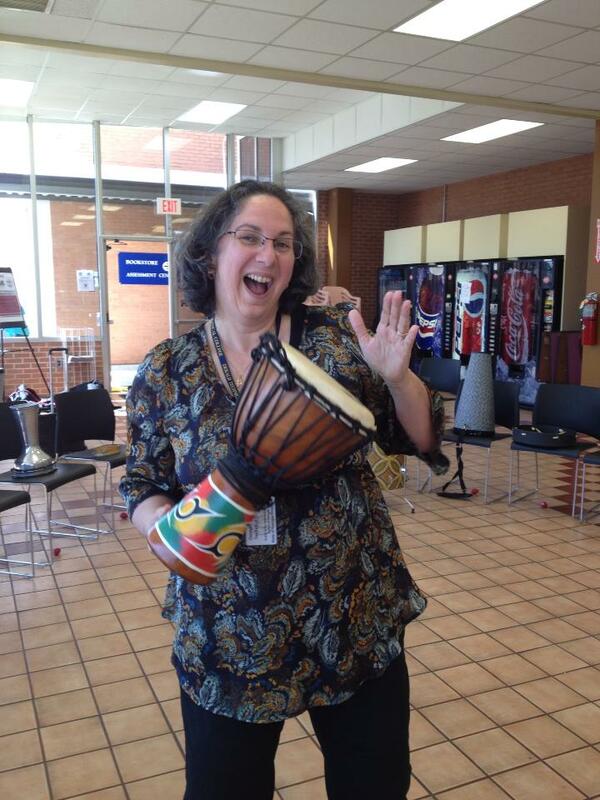 We had a work in-service day, and I attended a drumming therapy session. I was pretty skeptical about it. I thought it was going to be one of those sharing circles, you know what I’m talking about — getting close to nature and all that bunk. Well, let me take it back — I don’t really think it’s bunk. That kind of deep sharing has a place in our lives. I’m just not sure the workplace environment is the place for it. At least, not for me. But I went anyway, on the advice of a colleague with a fun spirit and a good sense of humor. At least if we were going to suffer, it was going to be entertaining. Boy was I wrong. That was the most fun I’d had at work. Ever. There’s nothing like laughter to generate laughter. I don’t know if it was the physical act of drumming that was therapeutic, or the joy that came from having a good time, but I think today, the day after, I’m still enjoying the benefits of spending an hour beating on a drumhead and laughing. What makes you laugh from all the way inside your soul? GETTING GOOFY STUFF, LIKE YOUR BLOG, IN MY INBOX EVERY DAY!